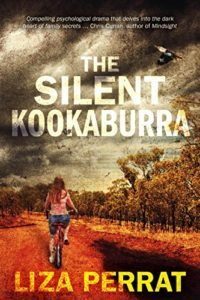 I’m delighted to be posting today about The Silent Kookaburra by Liza Perrat, which sounds like a fantastic read. I’m really looking forward to reading this one. If the blurb has whetted your appetite then here’s an extract to really get you interested. So, sounds great, right? How would you like to win one of two e-books that I have to offer you today? Just enter below – it should all be self-explanatory but it’s my first time posting a giveaway so if there are any glitches please do let me know so I can put them right! Liza grew up in Australia, working as a general nurse and midwife. 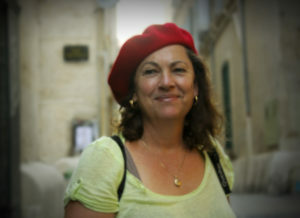 She has now been living in France for over twenty years, where she works as a part-time medical translator and a novelist. She is the author of the historical The Bone Angel series. The first, Spirit of Lost Angels is set in 18th century revolutionary France. The second, Wolfsangel is set during the WW2 Nazi Occupation and the French Resistance, and the third novel – Blood Rose Angel –– is set during the 14th century Black Plague years. It does, doesn’t it? Thanks for commenting, Sheila. You’re very welcome, Liza. I’m looking forward to reading it. Sounds intriguing and I like a book with a different setting. And you really really need a book to read 😉 It does sound excellent and I’ve read some great reviews of it. Hoping to get to it soon. Thanks for commenting, Jill. Just want to say how terrific this book is! Nicola, is it okay if I post a link to my review, to reiterate this? I won’t be offended if you remove it, I know some bloggers don’t like links to other blogs on their comments. I don’t mind at all, Terry. Glad you enjoyed it so much. Thanks for commenting, Sally, and for entering the giveaway. Well you never know, you might win. Thanks for commenting and entering, Yvonne. Sounds like my kind of book! Love getting to know characters and thir families! Me too, Edna. Thanks for stopping by and commenting.